It is fair to say every family in America needs a financial planner. A high quality plan is your roadmap to a secure financial future: Goals, savings rates, risk tolerance, performance requirements, and financial security. 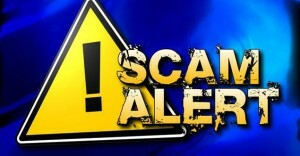 Unfortunately, this huge need by so many people has also produced a major scam that is used to deceive people. How does the deception work? A sales representative (insurance agent, stockbroker) claims to be a financial planner to reduce sales resistance – remember everybody needs a plan. Then the rep uses specially designed software to sell large amounts of investment and insurance products that produce big commissions. The consumer assumes he has a legitimate plan and the rep makes a lot of money. Does the professional hold one or more of the legitimate financial planning certifications: CFP® (Certified Financial Planner™), CPA/PFS® (Certified Public Accountant / Personal Financial Specialist™) or ChFC® (Chartered Financial Consultant™)? Go to the sponsors’ websites to make sure the planner is a current holder of the certification. Watch-out for fake certifications. Some reps buy worthless certifications that do not have curriculums, testing, or continuing education requirements. Use Paladin’s free Check a Credential service to validate the quality of certifications. Most legitimate financial planners are compensated with one of the three types of financial fees (hourly, fixed, asset-based). Some planners are also compensated with investment product commissions, insurance product commissions, or both. Be extremely cautious if the planner’s only method of compensation is commissions. Your best bet is a financial planner whose only method of compensation is a fee. A high percentage of financial planning software is bogus. It produces crude financial plans that are designed to sell investment and insurance products. How do you recognize cheap software? One way is to look for a sophisticated Monte Carlo simulation capability. All financial plans are based on assumptions that produce different outcomes. Monte Carlo tests the probability of the assumptions actually occurring. Assumptions that have low probability outcomes are not worth much. Most financial plans contain strategies that impact how your assets are invested. Be very cautious when plans recommend large amounts of insurance products (life, annuity). Chances are your financial planner is an insurance agent masquerading as a planner. The same is true if the investment strategy calls for large amounts of mutual fund investments, in particular funds that pay commissions. 85% of financial planners want to implement plans themselves for one reason. They make a lot more money implementing plans than they do developing plans. There is nothing wrong with this business practice if the professional has planning and investment knowledge. However, it is a dangerous practice if the planner is an insurance agent or a sales rep who is limited to selling investment products for commission.